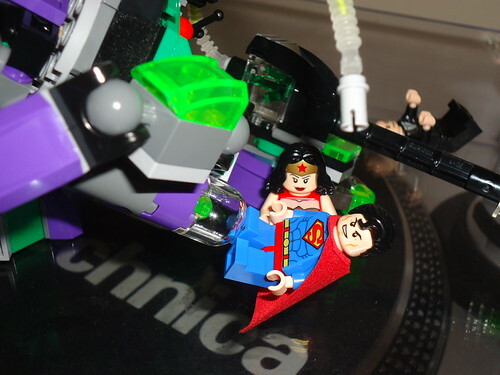 After destroying his power armor and subduing Lex Luthor until the Metropolis PD arives, Wonder Woman freed Superman from Luthor’s kryptonite clutches. “Thanks Wonder Woman! I never would’ve expected Lex Luthor, my arch nemesis, to exploit kryptonite, my only weakness!” exclaimed the worst super hero.